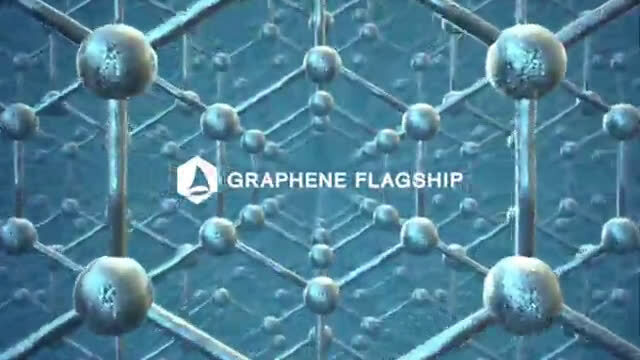 The Graphene Flagship is a pan-European research initiative dedicated to developing new technologies based on graphene, the single-atom-thick allotrope of carbon with excellent electrical, mechanical, thermal and optical properties. 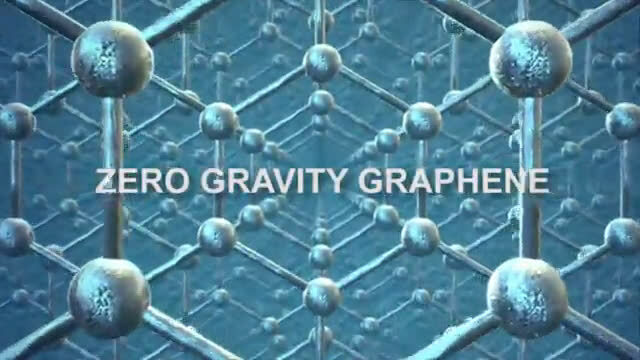 A fundamental aspect of the Graphene Flagship is training students and young researchers. These ambitious space-related experiments are an excellent opportunity for Flagship students and researchers to gain new experiences in cutting-edge research. Join the Graphene Flagship as we follow the progress - from the early stages in the laboratory to the moments of weightlessness! In a fully student-led experiment, a team of Graphene Flagship graduate students from Delft Technical University (TU Delft; Netherlands) will participate in ESA Education's Drop Your Thesis! programme. Their successful proposal will use microgravity conditions in the ZARM Drop Tower (Bremen, Germany) to test graphene for light sails. By shining laser light on suspended graphene-membranes from Flagship partner Graphenea, the experiment will test how much thrust can be generated, which could lead to a new way of propelling satellites in space using light from lasers or the sun. The PhD student team - named GrapheneX - consists of Santiago Cartamil Bueno, Davide Stefani, Vera Janssen, Rocco Gaudenzi, all research students in Herre van der Zant's research group in TU Delft. Santiago Cartamil Bueno, project leader for the GrapheneX team, said "We split tasks between the team and things are working well. We are very ambitious with the quality of the experiments. We really want to do it properly, so we are committed to do real science in this project." ESA Education's Drop Your Thesis! programme offers students the opportunity to design an experiment for the ZARM Drop Tower in Bremen, Germany, which simulates the low gravity and vacuum conditions of space. The 146 m ZARM Drop Tower creates extreme microgravity conditions down to one millionth of the Earth's gravitational force. In vacuum, a capsule containing the experiment is catapulted up and down the tower, providing a total of 9.3 seconds of weightlessness. 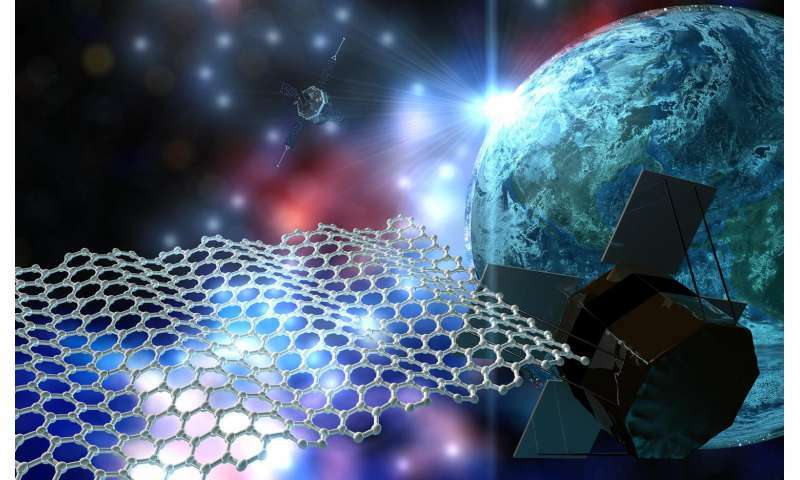 Running concurrently is an experiment investigating how graphene can improve efficiency in heat transfer in loop heat pipes - cooling systems used extensively in satellites and aerospace instruments. The experiment is a collaboration between Graphene Flagship partners at the Microgravity Research Centre, Université libre de Bruxelles, Belgium; the Cambridge Graphene Centre, University of Cambridge, UK; Institute for Organic Synthesis and Photoreactivity, National Research Council of Italy (CNR), Italy; and Leonardo Spa, Italy, a global leader in aerospace, producing of a variety of components and systems for space applications. Involved in the experiment are Graphene Flagship researchers Vanja Miškovi? and Fabio Iermano, both working at the Microgravity Research Centre, and Lucia Lombardi and Yarjan Samad, both at the Cambridge Graphene Centre. As well as the on-ground experiments, the young researchers will experience weightlessness on board the low-gravity flights in November. "I'm really excited because this will be my first zero gravity experience," said Lombardi. "The idea is to use graphene to improve the thermal conductivity and the capillary pressure by growing a sponge in the pores of the wicks," she added. "We want to test different kinds of coatings since the graphene and graphene oxide have different properties, but we are hoping to achieve good results with both of the coatings," added Miškovi?. "I'm very excited, I know that not a lot of people get this opportunity." Jari Kinaret (Chalmers University of Technology, Sweden), Director of the Graphene Flagship, said "These two projects exemplify the two-fold character of the Graphene Flagship: the loop heat pipe project is targeting a specific application, while the light sail project is firmly linked to basic research and builds upon the unique combination of properties that only graphene can offer. I am particularly proud of the fact that one of these projects was initiated by students working on area completely disconnected from space applications: this demonstrates the creativity of the next generation of researchers, and shows the sometimes surprising links between different parts of our Flagship - or maybe I should say spaceship?"